Chilean avocados are a way of life in Chile. One thing you’ll notice after any amount of time in Chile is that avocado seems to be served with lots of foods. 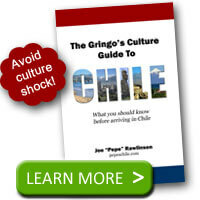 Why is Avocado so Popular in Chile? Chile’s climate and agricultural conditions make it idea for growing avocados. Did you know avocados grow on trees? I’ve visited several Chilean homes with an avocado tree growing in the yard. When you see trees and fruits growing in people’s yards, you know that they are easy to grow in that region. 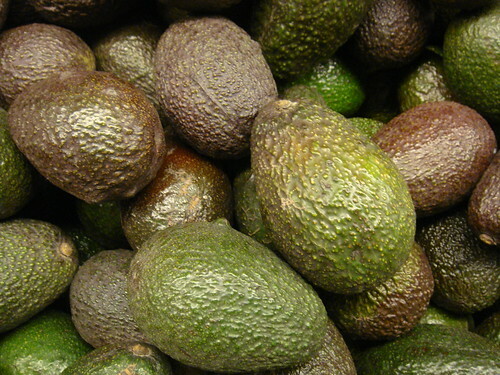 Chilean avocados are a major export for the country. In fact, the majority of avocados imported into the United States come from Chile. Avocados are cheap. Because avocados grow so easily in Chile, the price is extremely affordable. Where in the United States you may pay one dollar for 2 or 3 avocados, you can get 2 or 3 kilograms (4-6 pounds) of avocados for the same price in Chile. Avocados are a great companion food. I don’t recall ever seeing an avocado served by itself. They are typically matched up to another food to bring out the best in tastes and culinary experience. Chileans typically turn avocados into a guacamole-like, creamy paste that can be spread on bread, sandwiches, and other foods. The classic Chilean hot dog, the completo, is often overloaded with a thick layer of the delicious green avocado mush. So much so, that you will have a hard time getting it all in your mouth. Avocado will likely end up on your shirt or lap. Chileans love their sandwiches and you’ll definitely find avocado on the Chilean lomitos and other sandwich variations. The avocado spread will also be served with the daily fresh bread that Chileans eat for breakfast and dinner. While the diversity of Chilean avocado opportunities might not surprise you, the volume of avocado in any given serving will be noteworthy. Chileans don’t just serve a little bit of this green food, they pile it on in huge, excessive amounts. 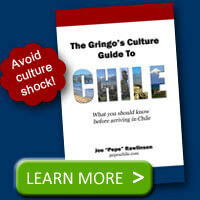 You will only hear avocados referred to as palta in Chile. While other Spanish speaking countries translate avocado as aguacate, you’ll never hear or see that variation in Chile. Palta is used to describe both the creamy green paste and the whole avocado fruit sold at supermarkets or local street ferias. While in Chile, enjoy the fresh (and cheap) avocados and don’t be afraid when you see a thick layer of palta on your next sandwich. Pepe, I can’t believe you didn’t use the word PALTA in that whole blog! I never heard any Chilean person say the word “avocado” when we were there, it was always palta. In fact I’ve seen arguments/discussions on the web as to whether “palta” just means avocado or means the mashed avocado. Whatever you call it, what a treat, I haven’t eaten a hot dog without palta ever since our visit!!! @Anne – you are absolutely right! Palta is the term to use in Chile. I’ve updated the post to include the information that you correctly noted should have been there from the beginning! How true it is. They love, as do I, the avocado. However in Chile the word for aguacate that is normally used to describe this “fruit or vegetable ” is “PALTA”. @Ken – I wonder what the majority of people would call an avocado: fruit or vegetable. Regardless, plata is delicious. Your mushrooms sound pretty cool. It is like the tree is giving you two for one! In Chile always have a palta on your plato.